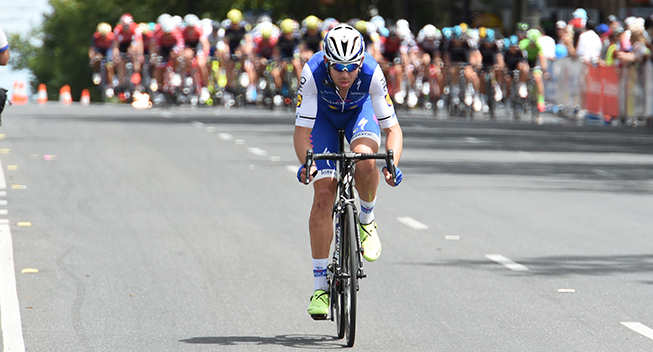 ORICA-SCOTT is pleased to announce the latest signing, New Zealand all-rounder Jack Bauer for the next two seasons. Haven ridden for multiple international teams over the years, Bauer is excited at the idea of joining the Australian squad and has high ambitions for the coming season. As the team continues to grow and develop in all areas, Bauer hopes to help take the team to the next level, especially in their early season classics campaign. “With ORICA-SCOTT, you have a very balanced team that is proven and capable of delivering in the sprint, the mountains, team time trials and general classification,” he said. Fitting in with the team’s long term plans, sport director Matt Whitebelieves Bauer will be an important asset with a lot to offer. “He is a big strong guy and a good teammate which we have seen him when riding for other teams. We are thinking long term and he fits into our plans. With the team rosters set to be smaller in the future we need guys who can do a lot and offer a lot on different terrains.